Details make the show. But as creative and production teams generate a substantial amount of information, everything becomes a little chaotic. PreShow frees you from chasing down handwritten notes, reference images, budget spreadsheets and to-do lists by keeping all of your files at hand, annotated to exact moments in the script. Making script changes mid-production is frustrating. Besides updating the document and sending it to everyone involved, you also need to follow up to make sure every change was understood. 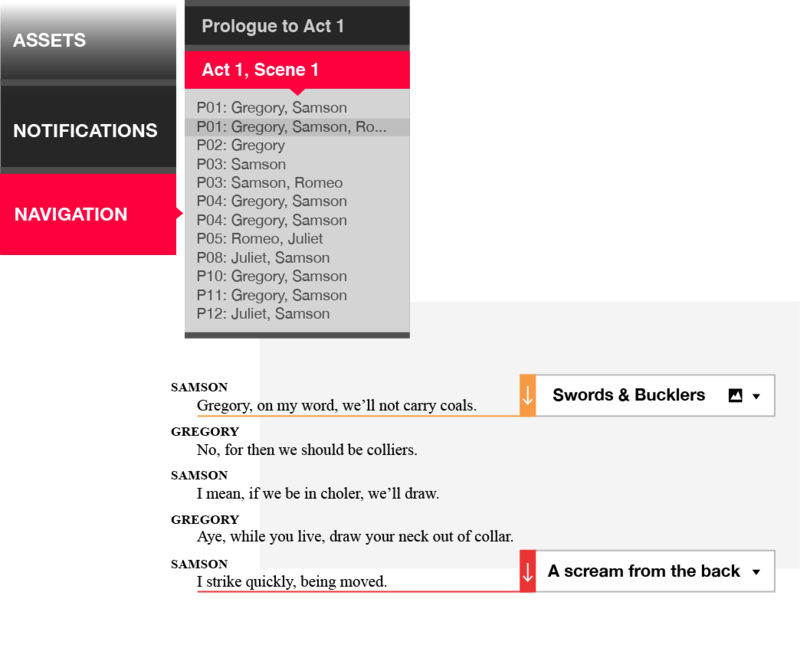 With PreShow, all changes are instant, made to the same script that is shared with your team, with notifications sent to all the right people. PreShow is based in the cloud, available to every member of your team, no matter the device they use. You decide who is involved and in what capacity. While some work on the script, others can tailor the specifics of the show. PreShow is designed to be understood and used intuitively by any industry professional. 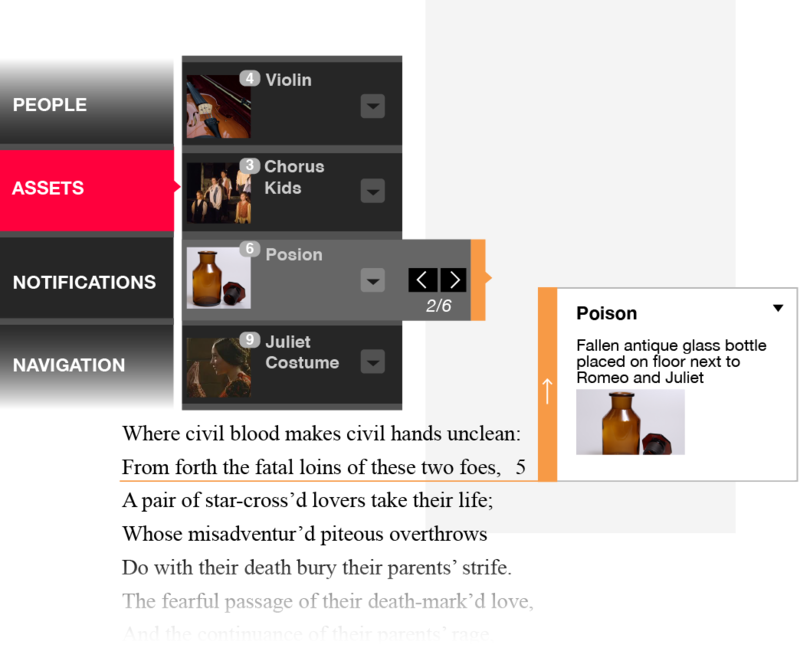 All the features of the application revolve around the show script, making the navigation straightforward and all the changes apparent. Be ready for opening night. 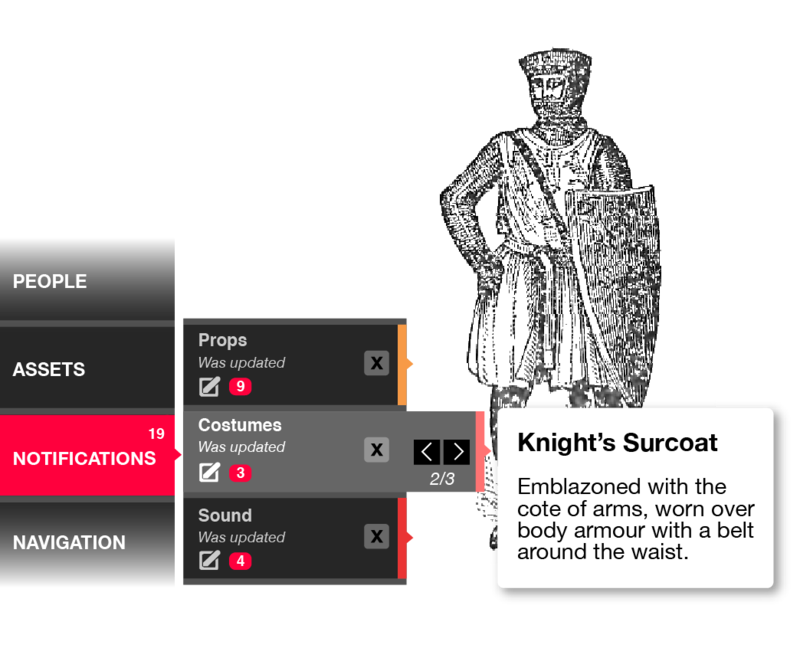 PreShow prepares your team for live productions. Yes. PreShow was born out of the need to better organize live presentations. And while our founding team has a lot of experience in bringing productions to life, we are currently keeping PreShow in beta stage to test the market demand and would gladly accept your product feedback in lieu of payment. Created by industry professionals, PreShow takes the safety of your productions files seriously. The only people able to see the details of your live presentation are the ones you give access to. PreShow is the brainchild of James Pollard, a dreamer, a designer, an organizer, who made his mark through work in theatre, but also contributed to film, television and special events. Together with a small group of cultural creators that he’s been leading for years, James came up with an idea for PreShow out of the personal need for a better production process, which hasn’t evolved throughout his 30-year career in entertainment business. The goal of PreShow is to shift the balance slightly in favour of the artist, in favour of creating a show, on the path to allowing more creative freedom.